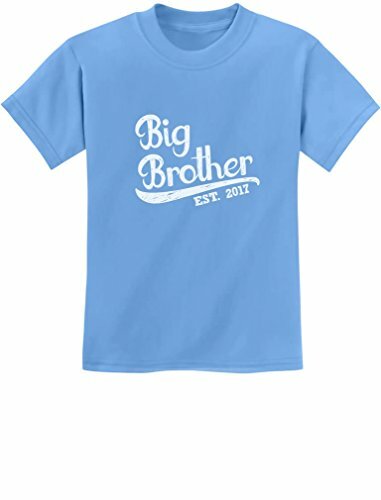 Best gift idea for big brother! Birth announcement, baby shower, birthdays, Christmas present for son / grandson. Premium quality, short sleeved t-shirt. preshrunk 100% combed-cotton knit . Machine washable.Available in a wide variety of colors and Junior Fit sizes: XS-XL. Choose the size and color options from the drop-down list. Machine washable. The best gift ideas for kids & teens birthdays, special occasions, holidays, big brother, big sisters presents.